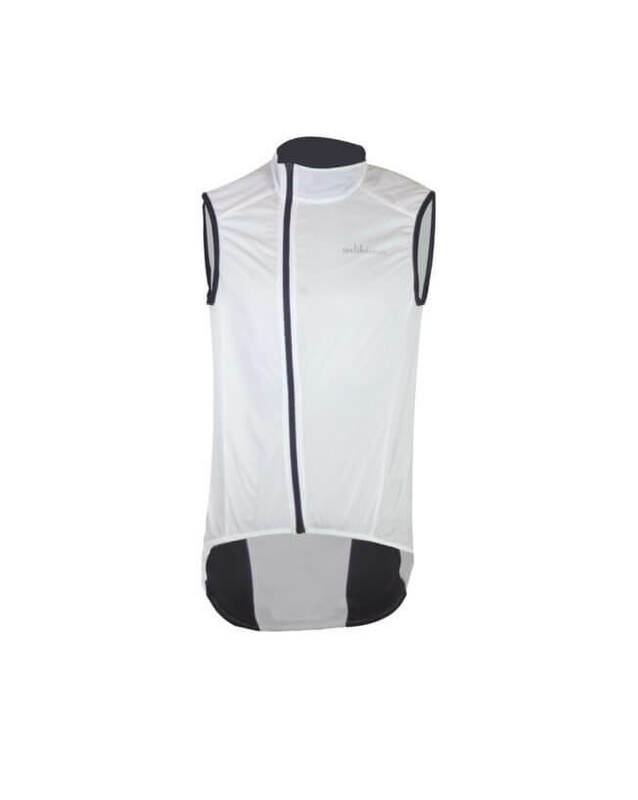 Light and Compact to protect your chest from the wind while cycling. 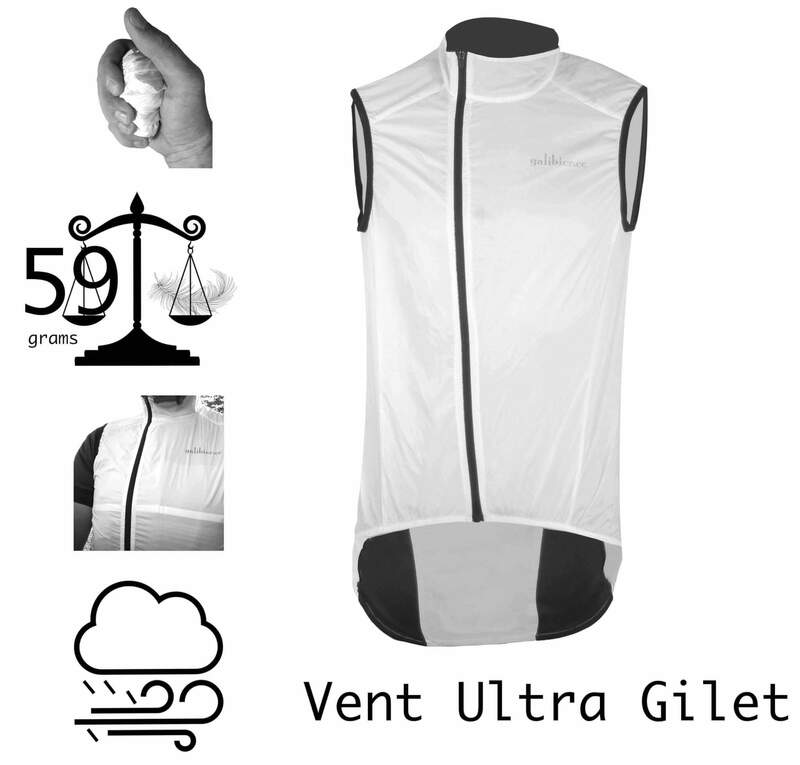 Our VentUltra gilet is carefully designed to keep your core dry in light rain and warm on long, alpine descents. 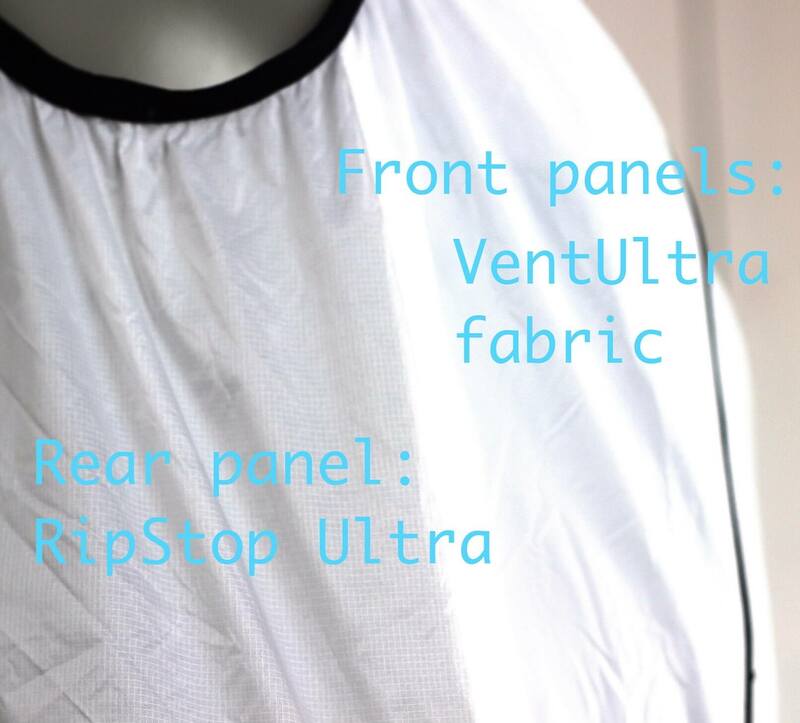 Specific requirements of very low weight and low pack volume lead us to VentUltra fabric. It’s smart protection and construction delivers and light insulation against wind, light rain showers and chill. 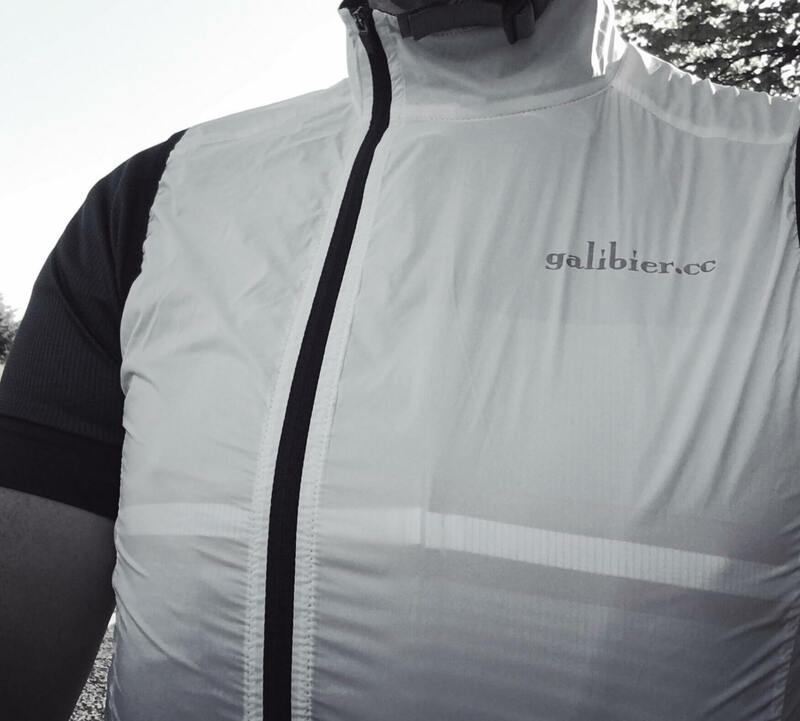 Our gilet packs down very small- which will surprise you with the performance it delivers. 5 different fabrics are used in the construction; including feather light embossed fabric on the front -Checking ALL wind and Ripstop Ultra on the rear. 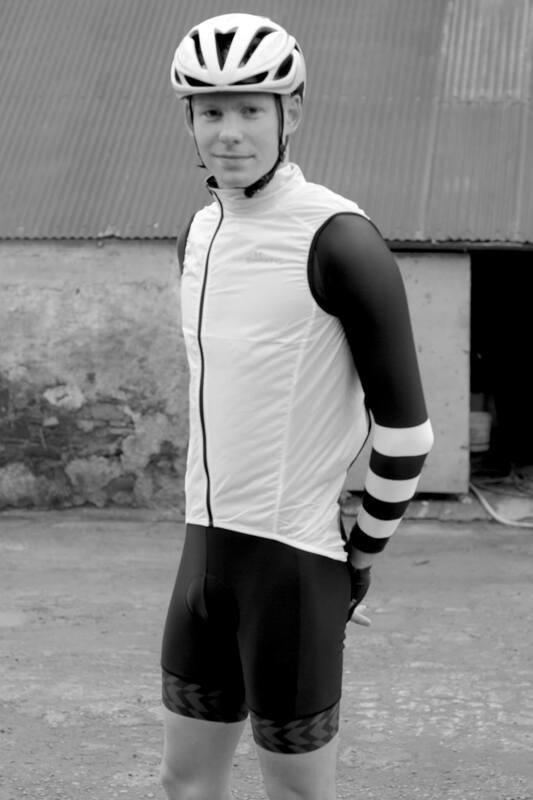 The large full-length, Invent Lycra on the sides provides freedom of movement, keeping the garment fitted close to the body and permitting the core to operate at ideal temperature. 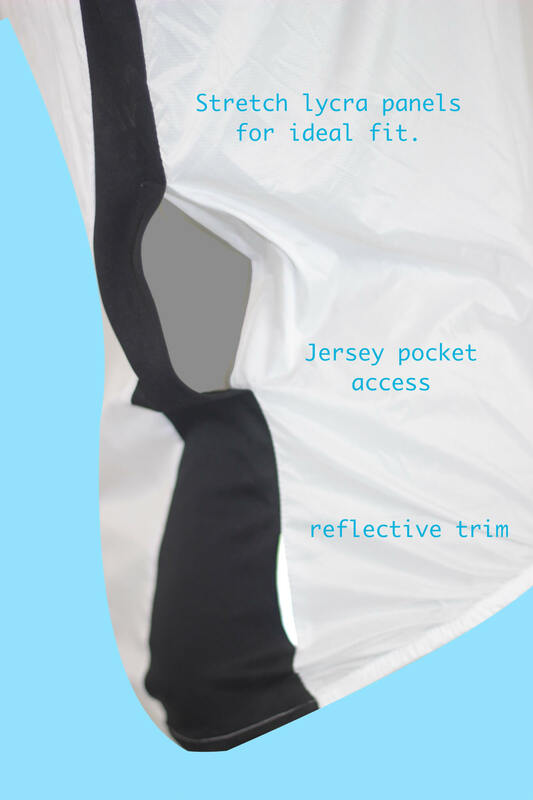 3M provide the reflective rear highlights and you can still access the contents of your jersey pockets with two neatly placed slips. We have chosen an Offset zip as it will be worn over an ‘centered’ jersey zipper, thus avoiding doubled up zips on top of each other. A complete partner that can be utilised year round. Super Anatomical Ergo fit: No loose fabric. 4 needle double stitching EVERYWHERE. 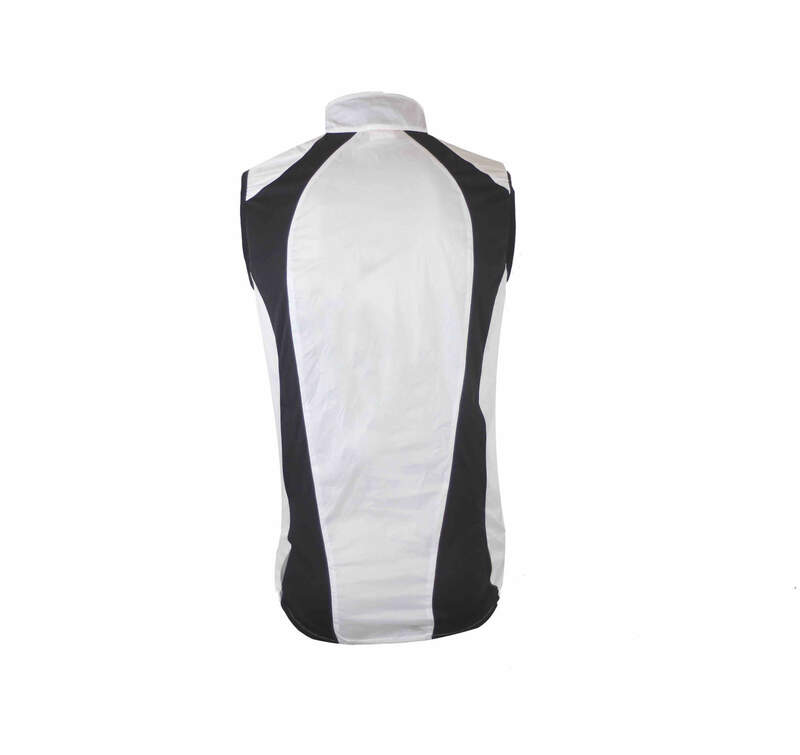 High neck and ripstop fabric at the back. VentUltra provides a high degree of wind resistance and light rain protection an: low weight (59g) and low pack volume with Offset Zip. If in doubt, size up as they are neat fitting. I was lucky to get a sample to test for racing in Belgium this spring and love it. I keep it in my small saddle bag with my tube and levers. I know I didn’t pay for it – but would in a heart beat as it weighs nothing! Thanks for all the support Galibier. This is a great little piece of kit. It’s so light you’d be forgiven for thinking that it won’t be up to much but nothing could be further from the truth. I’ve yet to trial it in the wet, but I had it on over a short-sleeve jersey this morning in a foggy 9 degrees and it was nothing short of perfect. 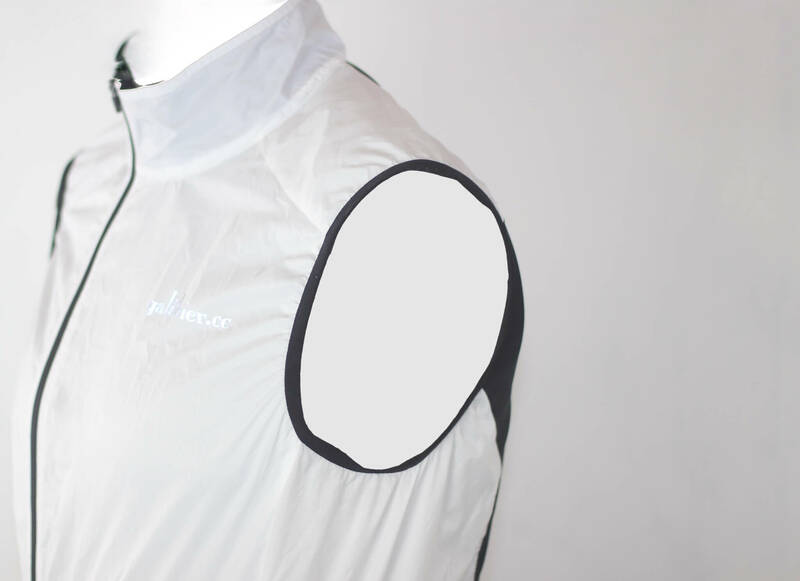 The off-set zip is great and the 2 slits at the back are perfectly positioned to access your jersey pockets underneath. 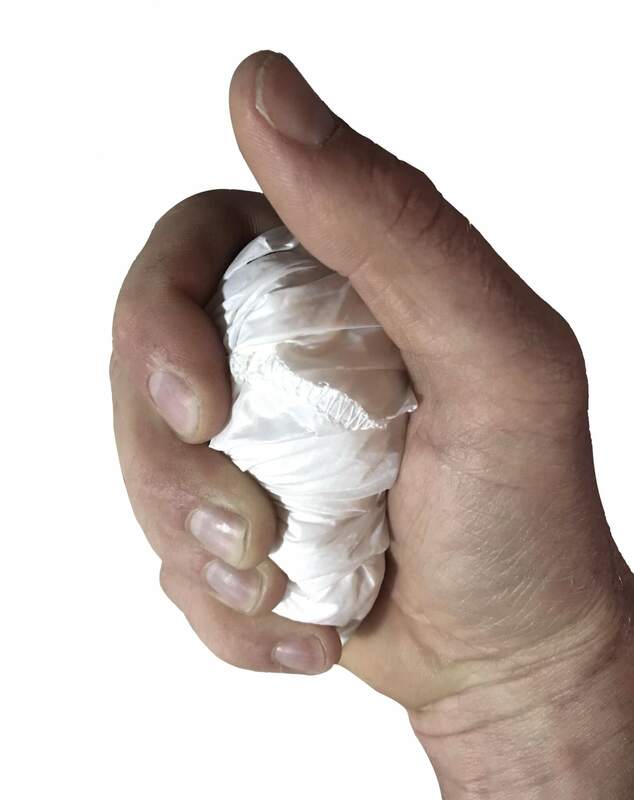 It scrunches up into a tiny ball and you’d barely notice it in a jersey pocket. I went for the large and it’s perfect on me (42″ chest / 5′ 11″ tall). 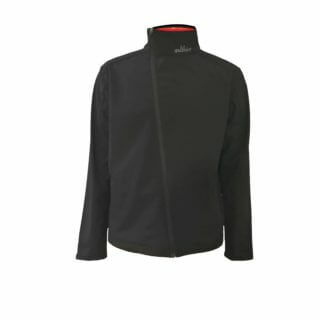 I have the Tourmalet and Mistral jackets also in large and the sizing is on a par with those. The only thing that would make this gilet even more perfect would be a tiny bit of silicone gripper on the hem. 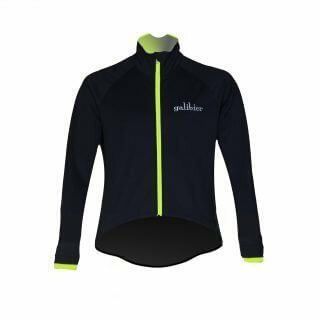 That small suggestion aside, this is another excellent piece of kit from Galibier and at the price, you couldn’t go wrong. 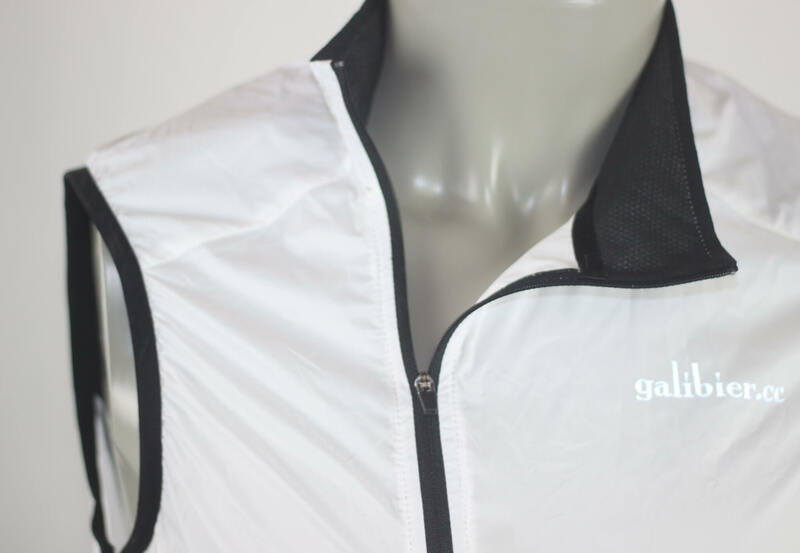 I’m not sure what sort of magic Galibier use in the making of this gilet but it works brilliantly, worn on a early morning ride over a short sleeved jersey and kept my core at a perfect temperature, once removed it takes up so little space you forget you’ve got it. Only slight complaint was a little wind noise around the shoulder. Top class gilet. I’ve used it on the cooler days in the summer over a jersey – keeps the core nice and warm. Great in light showers, ultra light and compact. Superb! This gilet is very close to perfection. Neck is slightly loose but this is not noticeable in use. Clever design to offset the zip a little means it doesn’t interfere with what’s worn beneath. Slight tendency for it to ride up from the bottom hence could be an inch longer, otherwise perfect fit for a slim man. Seems to be marketed as an “emergency garment”……I’d say an essential piece of equipment. Excellent quality and carries the Galibier hallmark of intelligent design, materials and workmanship. I’ve had this gilet for a couple of months now and although I generally can’t be bothered to submit reviews I felt I should sing it’s praises. Very light and slips into even the smallest pocket but does it’s job perfectly. I really like the neat access to your rear pockets too. A bargain at this price too. My first Galibier purchase but will not be my last. Bought it in preparation for a trip to the Alps. First used descending north side of Col du Galibier which I though very fitting! It totally does the job and so small, I used it on the rest of the week’s descents. Highly recommended, why pay more? Lovely gilet! I only wear a small backpack to work (I commute to work) and this item is perfect because it fits snugly into one of the spare side pockets – so I always have it with me in case I need it. The gilet is perfect to use in the morning with a t-shirt for me – on my ride home it’s warmed up enough not to need it. But it really takes the edge off in the morning.